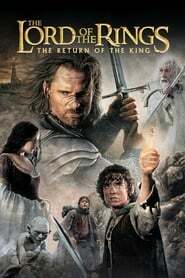 The Lord of the Rings: The Return of the King Gandalf and Aragorn lead the World of Men against Sauron's army to draw his gaze from Frodo and Sam as they approach Mount Doom with the One Ring. 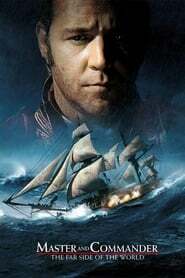 Master and Commander: The Far Side of the World During the Napoleonic Wars, a brash British captain pushes his ship and crew to their limits in pursuit of a formidable French war vessel around South America. The Life of David Gale A man against capital punishment is accused of murdering a fellow activist and is sent to death row. Good bye, Lenin! An affectionate and refreshing East/West-Germany comedy about a boy who’s mother was in a coma while the Berlin wall fell and when she wakes up he must try to keep her from learning what happen (since she was an avid communist supporter) to avoid shocking her which could lead to another heart attack. The Texas Chainsaw Massacre After picking up a traumatized young hitchhiker, five friends find themselves stalked and hunted by a deformed chainsaw-wielding killer and his family of equally psychopathic killers. Hulk Bruce Banner, a genetics researcher with a tragic past, suffers massive radiation exposure in his laboratory that causes him to transform into a raging green monster when he gets angry. Big Fish A frustrated son tries to determine the fact from fiction in his dying father's life. The Italian Job After being betrayed and left for dead in Italy, Charlie Croker and his team plan an elaborate gold heist against their former ally. Scary Movie 3 Cindy must investigate mysterious crop circles and video tapes, and help the President in preventing an alien invasion. Mystic River The lives of three men who were childhood friends are shattered when one of them has a family tragedy. The Last Samurai An American military advisor embraces the Samurai culture he was hired to destroy after he is captured in battle. National Security Two mismatched security guards are thrown together to bust a smuggling operation. The Recruit A brilliant CIA trainee must prove his worth at the Farm, the agency's secret training grounds, where he learns to watch his back and trust no one. Timeline A group of archaeological students become trapped in the past when they go there to retrieve their professor. The group must survive in 14th century France long enough to be rescued.